Last week we had a great SmartBargain shoe deal, 3 pairs for $99 and while this deal quickly ran out, there are new arrivals of designer shoes from designers such as Kate Spade, Prada, Gucci and more that are worth a look at. However, what has really caught my eye this week is the new arrival of Designer Spring Dresses and Fashion Designer Suits. 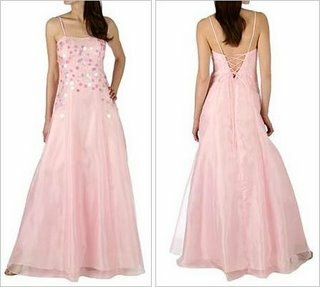 Have you ever wanted to buy one of those amazing prom dresses that you saw in Seventeen Prom magazine, Your Prom magazine, Teen Prom magazine or perhaps Cosmo Girl magazine? Maybe you're into prom fashion or currently looking for a new elegant cocktail evening dress or party dress. Well here's your chance to snap up a designer dress or evening gown for such occasions and at a heavily discounted price! However there's still a good range of great valued Spring designer dresses available. For example, For example, you will look absolutely stunning when you slip into any of the elegant, special occasion Adrianna Papell cocktail evening dresses, short dresses and halter top prom dresses. If you're into prom fashion then I'm sure you will have seen the hottest prom dresses from Adrianna Papell in Seventeen Prom magazine or Teen Prom magazine. There is also a number of classy party dresses and evening gowns from De Laru, Dusk Collection by Sheila Yen and Donna Ricco. I also don't mind the sassy solange jersey wrap dress and the charming "chica" dress from French Connection, and who doesn't like FCUK? Then there's the range of classy and sophisticated designer dresses from L.A. based fashion designer James Perse as well as from JS Boutique. The list goes on as there's a number of evening/party designer dresses from Laundry by Shelli Segal, Mary L Couture, Max Studio and Morgan & Co. In particular the classy Morgan & Co black halter style V-neck with glittery pink and silver rhinestones lining is worth a look as are the designer dresses from MSK, Necessary Objects and Velvet Torch. This Spring range of designer dresses also includes a number of stunning dresses from Romeo & Juliet Couture, several cute silk dresses with handkerchief hems by the celebrity adored Sue Wong, and quite a few classy Vera Wang gowns. Something different from your typical top, there's a gorgeous gold crochet tank by KM Collections by Milla Bell. The Nina Leonard mock wrap dress in solid black, with V-neck, three-quarter length sleeves and a handkerchief hemline is also very stylish and elegant. My picks: The Donna Ricco Petite Black Chiffon Lace V-Neck Dress discounted by 74% down to only $40 is really cute! However, for me my picks from all these gorgeous designer dresses and gowns are the Romeo & Juliet Couture pleated black belted dress and the Romeo & Juliet Couture black baby doll dress shown below. 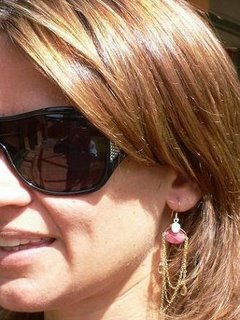 Yes they're simple but they are really chic! 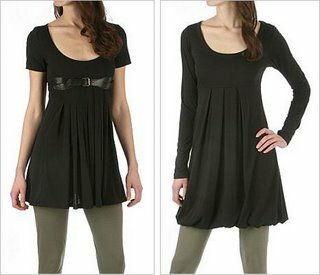 Both these designer dresses are discounted by 74% down to only $40 so are great bargains! But all in all there's quite a big range of designer dresses and chic and classy evening gowns to choose from but my choice in the end was influenced by the fact that my CC is maxed out at the moment :( Again as the JS Boutique designer evening gown sold out so quickly, don't leave your run too late with all these specials. They won't last!!!! Don't forget to also check out the range of womens Fashion Designer Suits from Tahari, Kasper, Atelier and more, discounted down to $99!!! I happened on this late, and so I guess I’ve missed all the great deals, but I’m trying to put together a wedding and very interested in when good buys like this might be around again. I’m looking for bridal dresses that aren’t terribly traditional. I really badly want to try a Vera Wang, but am somewhat afraid of how it might go over with friends and family. I’m also interested in bridesmaid dresses. Again, I don’t want to go with the normal thing that typically passes for fashion at a wedding. Instead, I thought outfitting them in something designer that’s chic would be a much better way to go. I’ve considered giving them all a color and sending them out to find something they wouldn’t mind wearing to a cocktail party. If another sale like this one were to come round again, I could simply send them down and let them pick and choose. Good buys just come and go, but you have to be an early bird to pick up the real designer bargains like the JS Boutique pink organza designer evening gown discounted down to only $45. Anyway I do agree with you that for a wedding going for something sophisticated/designer yet chic is a smart move, something that could be worn post the wedding adds real value. Best of luck with your wedding. Unfortunately, I am two months late in seeing all those great buys on your site. My daughter has already attended her JS Prom last February and unfortunately her gown was really expensive for a one-time affair. Is there any way for us to subscribe to your posts? That way we won’t miss any deals. Yes Prom gowns as are bridesmaid dresses can be really expensive for a one-time affairs and that's why I say look for something that could be worn post the Prom or wedding. To subscribe simply enter your email address in the subscribe box at the top of right hand sidebar. That pink prom dress looks lovely. It's simple yet elegant for an evening gown.